I was recently a passenger on a road trip from Albuquerque to Phoenix. On that route, there are tons of billboards, some very professional and some not so much. One thing I noticed as I was checking for errors was the many ways that hotels spell the word indicating you will be able to use your phone, tablet, e-reader, watch, etc. to access the internet (usually for free). I decided to do a little bit of research to find out what the appropriate spelling should be. That sounds easy, doesn’t it? Well, it isn’t. 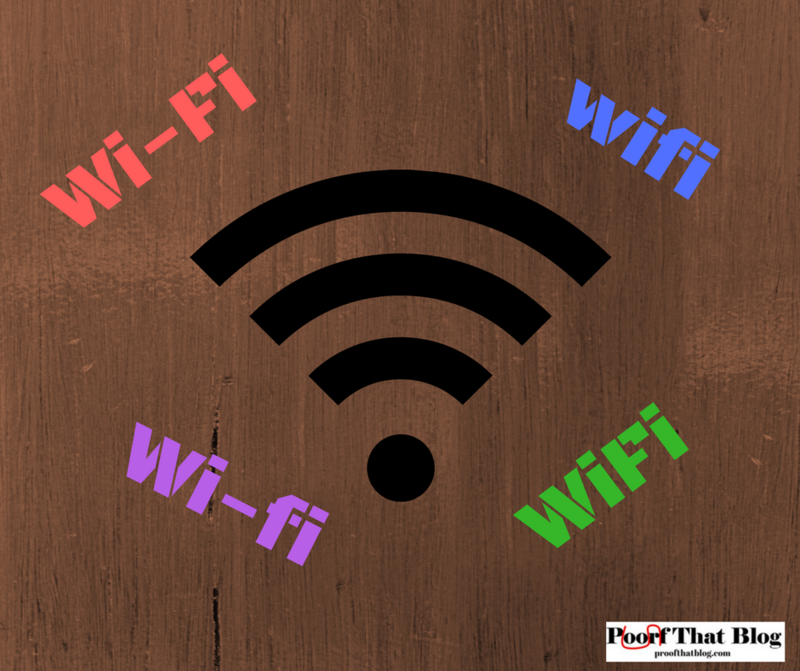 The American Heritage Dictionary indicates that “Wi-Fi” is a trademark for the certification of products that meet certain standards for transmitting data over wireless networks. The Chicago Manual of Style indicates that “Wi-Fi” is a trademark. “Wi-Fi” is the registered trademark of the Wi-Fi Alliance, who “brings us Wi-Fi.” Their website indicates they coined the term “Wi-Fi” and they certify Wi-Fi products. I found several more instances of the “Wi-Fi” spelling. In addition, it seems that Wi-Fi Alliance is more the expert and that’s the way that organization spells it–so “Wi-Fi” seems the most correct.